← Ask The Stars… They Will Tell You! A story ends with someone living happily after, or someone being shot at the end. Faith Child, I have suggested memorizing Bible verses in my earlier blogs. These verses are primer verses we should have in mind to ward off sudden enemy attack or to counter our doubts and fears, or feeling plain weak against odds that we face like temptations. We need the Word as the basis for right answers for endurance. Anxiety : the slightest incident can trigger fears, doubts and anxieties. It is in uncertainty when we need the peace of God. Brokenhearted : caused not only by death of a loved one, also when loved ones or those with whom we have high expectations, greatly disappoint us for whatever reason they might have. Then to know His Presence helps us affirm that He is in control, we should not depend on frail humans, and He will see us through and provide the healing we need in His time. Confusion : Because we are not omniscient, limited knowledge of any situation or persons may cause confusion. We need not fear because He is Omniscient. We need not panic, just ask Him for guidance, wisdom, discernment. He will bring order. Defeat : When we feel defeated or in despair, hope is gone. We may be crushed but we have a Hope that is larger than any foe or impending disaster. He is our Risen Lord, Jesus Christ who can bring healing and resolution to every situation. Trust Him and He shall direct our paths. Failure : Humans are prone to fail as perfection was lost with Adam and Eve. It is no surprise. What is important is we must not let the enemy keep us down. We must get up in the strength of the Lord for we are more than conquerors in Christ Jesus and it is He (not in our own strength) that lifts us up.. so receive His help to rise on eagle’s wings again. Fear: When we have fear we perceive that our problem is bigger than God. In reality God is bigger than any problem we might face. So resist the fear(which originates from the devil) in Jesus name and claim the power, love and self control that the Holy Spirit offers and walk on water! Be daring in the will of the Lord to do whatever He says to do. Follow the Lord not the devil. Impatience : When we come to the end of ourselves, feeling frustrated and impotent, we become impatient to know the next step, however the will of the Lord is that we learn patience, trust and dependence on Him and we just have to wait patiently. It is then we must also learn the secret power of giving thanks in everything – when we abandon everything we hold to the Lord’s control and will. Impossibilities : Limited humans perceive impossibilities. Our unlimited God is all powerful and specializes in making all things possible. Be glad we have an Omnipotent God! Jesus said it! Inability : Sure we cannot in ourselves for we are humans. Understand it is God who makes all grace abound to us. When that happens, “I can do all things through Christ who strengthens me. !” Praise the Lord. Lacking Direction : When we face an unknown future we look into the face of the control limitations of man. It is then we have no option but to trust in the Lord who knows everything including our future. If we do not turn to Him, we may wander unnecessarily in the paths of unrighteousness then it will be from the frying pan into the fire. Let us be wise to seek His will and to follow Him when we hear His voice. Rejection : It hurts to be rejected. Thank God He calls us to Himself and did not reject even while we were in sin. He loves us with an everlasting love. Emmanuel God with us. Never will He leave us alone. 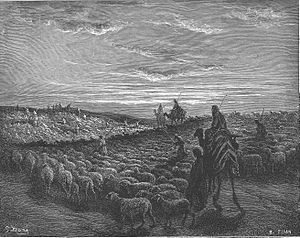 Temptation : It is so common to man but the Lord is with us and will make a way of escape when we have reached our limit. So resist the devil and he will flee from you. Do not succumb at all cost. The Lord is your refuge and strength. Tiredness : When the battle is long, one gets tired. Then let the Lord renew your strength. He will help you endure and persevere till you gain the victor’s crown. Look ever to Jesus. In your weakness you will find His strength. Amen. So dear Faith Child, we will run and not grow weary, walk and not faint. Behold He comes.. in the clouds………….even so come Lord Jesus! 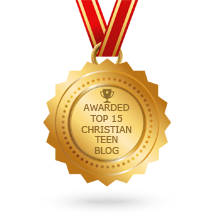 This entry was posted in A CLICK A BLESSING TODAY, CHRISTIAN FOUNDATIONS OF BELIEF, CHRISTIAN LIFE AND THE WORD, CHRISTIAN TEENS BLOGS, FAITH CHILD and tagged belief, Christian life, faith, hazards, He cares, His will, tough love, Uncertainty. Bookmark the permalink. A good coverage of the roadblocks we face. What an amazing God we serve that He gives us the answers as we face these snags, and even more so that He empowers us to overcome them. What a comfort to know that whatever we face, He gives us the victory when we trust Him. How important it is for us to know the Word and allow it and Holy Spirit to govern our attitudes, thoughts and actions. Evelyn, I really apprciate this posting… you have hit most, if not all of the roadblocks that we face in our service to Him. Unfortunately, these roadblocks seem to consistantly appear as we serve Him. Very rarely have I experienced times of great service that did not include one of these you discussed. Thank you for the warning and the sound advice on how to overcome these enemies that we face. Lord bless. Pastor Rob, we must stand on Christ the Solid Rock, the. Word. All other ground is sinking sand! When all around give way, He is our Rock to stay. Praise the Lord.